I am taking this part-tine vegan to heart and trying very hard to only have one vegetarian/pescatarian/carnivorous meal a day. Today started off with oatmeal and blueberries which I know is very good for me but oatmeal is still not a fave for me. This was followed by Autumn Soup (again!). I guess I made a lot of this. Today I decorated it with a lemon slice and chopped scallions. 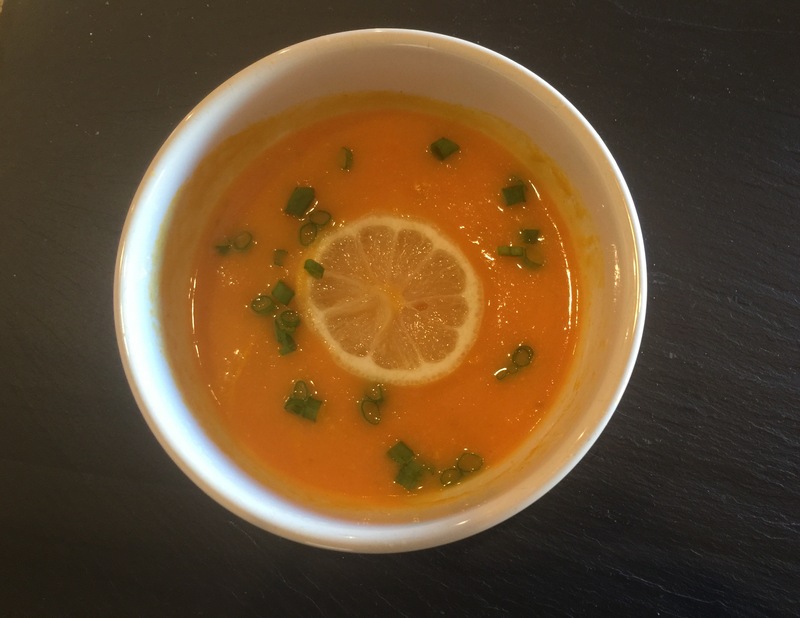 This purée of mostly root vegetables surely does keep one regular! Tonight’s dinner was meatloaf. As John says I could make this in my sleep following my mom’s recipe. I love it and I love a meatloaf sandwich the next day. I know I need to find a yummy substitute. Maybe a loaf made of lentils? I served it with half a baked potato and a whole slew of broccoli. 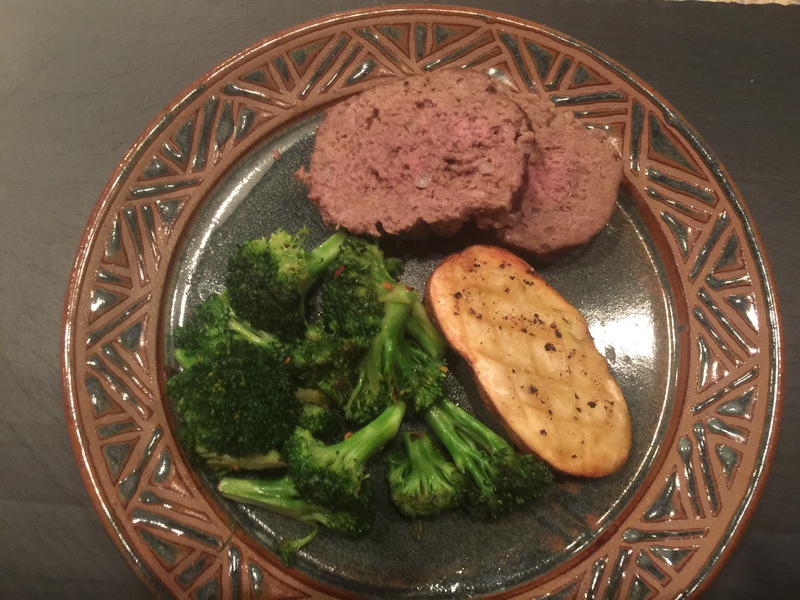 This entry was posted in Beef, Vegetables, Vegetarian and tagged baked potato, broccoli, meatloaf, Root vegetable soup, soup. Bookmark the permalink.